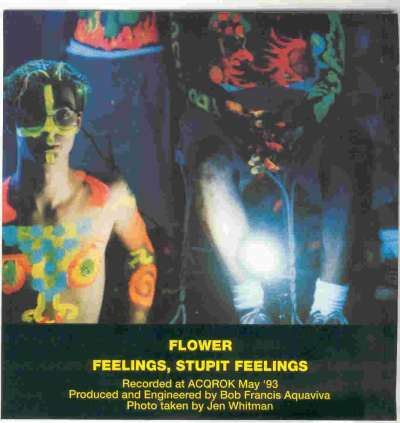 FOE 002 Weston "Flower / Feelings Stupit Feelings" 7"
Blue vinyl, released in May 1993. A joint effort between FOE and Weston. Weston financied the covers, FOE the vinyl. This is a legendary 7" that served as a preview of Weston's debut cd/lp on Gern Blandsten. 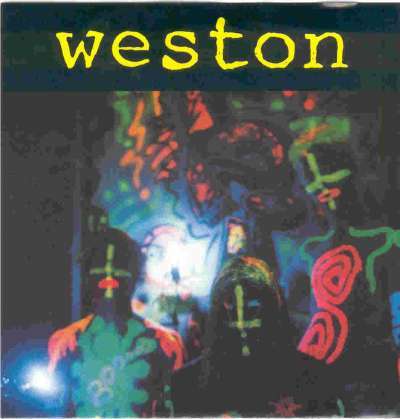 The line up of Weston, featuring Jeremiah (drums), Dave (guitars and vocals), Chuck (bass and vocals) and Chris (guitar). Jen Whitman took the photos at the Freightyard (the local club at the time) in Allentown PA. Recorded at ACQROK by Bob Francis Aquaviva.